Our winter CSA is offered in partnership with the Foothill Farm Alliance. The winter share is an opportunity to eat locally this winter. Seven times between the end of October and late January, the alliance will thoughtfully build a box of vegetables for the members. Members will come to one of four meeting points, visit with the farmers and other members, and pick up their veggies. 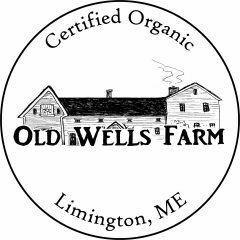 The Foothill Farm Alliance provides one of a small number of Winter CSAs in Maine. We are the only cooperative Winter CSA. With the support and hard work of our four farms, we are able to ensure our members get a diverse offering of top-quality produce. Arugula, Beets, Brussels Sprouts, Cabbage, Carrots, Celeriac, Collards, Garlic, Head Lettuce, Kale, Leeks, Onions, Pac Choi, Potatoes, Shallots, Spinach, fresh cranberries and various Winter Squashes.